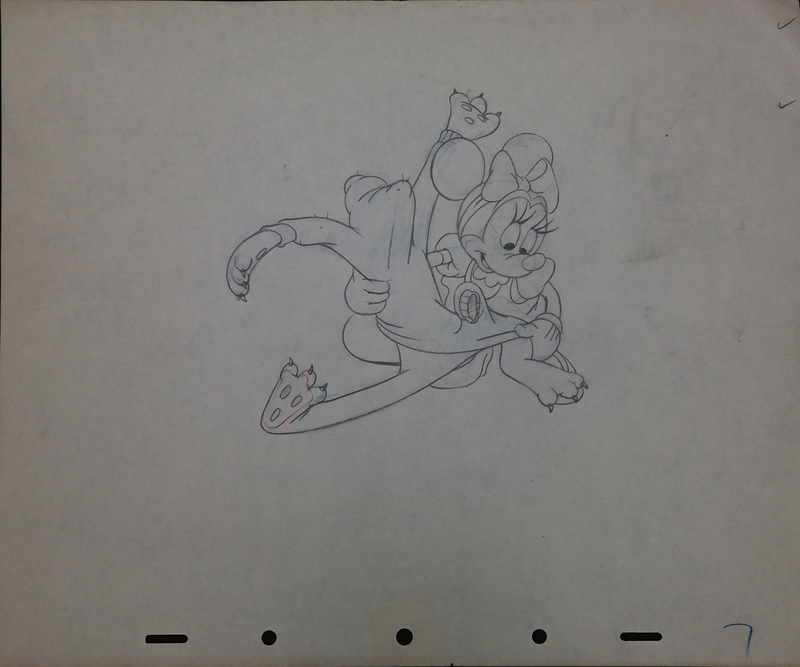 This is a great production drawing of Minnie Mouse and Pluto from the 1949 short Pluto's Sweater. There is some dirt/discoloration in the top right quadrant. The untrimmed animation paper measures 9.5" x 12" and 5" x 5.5".